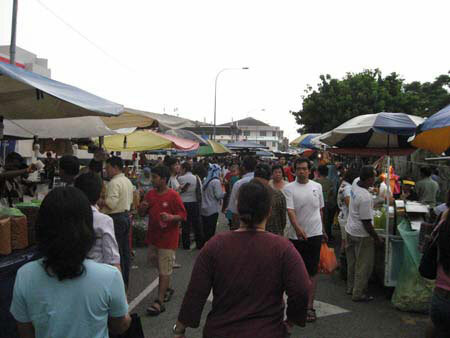 The pasar malam in Bangsar Baru has been relocated following the opening of Bangsar Village II on the 25 January 2007. 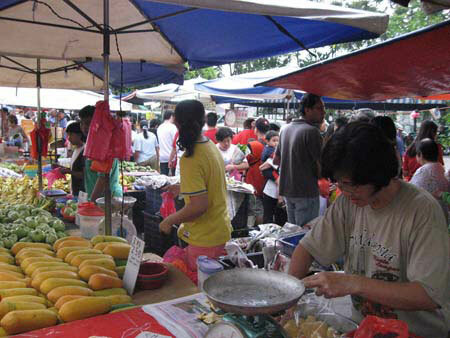 Bangsar's pasar malam has been around for quite a number of years now. It used to be located at Jalan Telawi 1, Telawi 3, and Telawi 5. However to create a better flow of traffic in Bangsar and easy accessibility to Bangsar Village I & II, it has now been relocated to Jalan Maarof (not the main road) but the slip road parallel and in between Jalan Maarof and Jalan Telawi 2. You can refer to http://www.bangsar.net.my/Map/default.asp?Id=bb for a map of the streets in Bangsar to pinpoint the exact new located of the Pasar Malam. 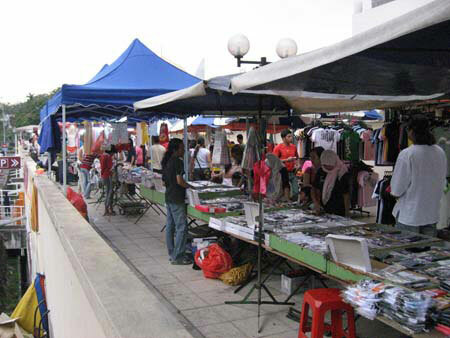 The wet market and food area is along the road next to Jalan Maarof and the clothes or dry stalls are located up in what used to be the Jolly Green Giant Food Court. This is a good separation of dry and wet stall area. What could be improved is perhaps the cleanliness and accessibility of the walkways and paths. But then again... would that really give us all a true pasar malam feeling to it all? All in all, walking around Bangsar during the Sunday market is now a greater pleasure with the abundance of stalls, shops, eating places and our new additions the Bangsar Village I & II. 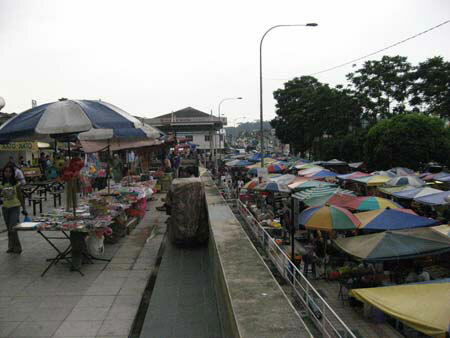 Hopefully the traffic situation has also been improved with the newly relocated area for our beloved pasar malam. 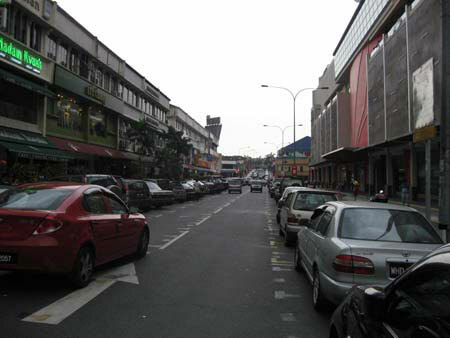 Picture shown below is Jalan Telawi 3 where the pasar malam was formerly located. Notice the lack of traffic along this road as well as Jalan Telawi 2 even though the pasar malam was actively running in the new location. 5/19/2007 4:26:19 AM websutera I used to went to pasar malam at Bangsar, but not now since I moved to Ampang. It nice to know that pasar malam relocated to new area. Ok for Bangsar folks, if you have event that needs catering service, do let me know. Kindly visit my catering blog at http://themakan.blogspot.com/ for further info. My location at Kg. Pandan Dalam, Ampang. MemberID Not a member yet? Register Here!